The night train down to Munich on Saturday night was uneventful, although again the party train I’d been hoping for failed to materialise. Arriving early on Sunday, I dumped my bags at the hostel and went off to kill some time before I would be able to properly check in at 1400 by visiting the Deutche Museum. I feel I should state at this point that the Deutche Museum was chosen largely because it’s the only museum open at 9am on a Sunday and not because I am again stalking locations visited by Michael Portillo. 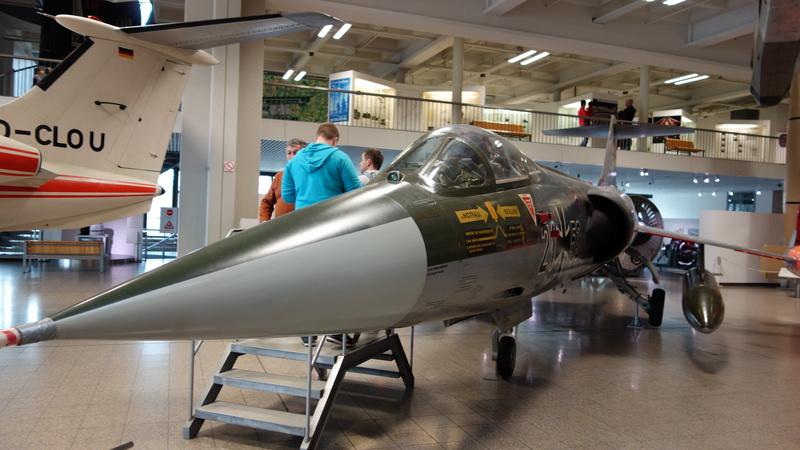 The Deutche Museum, or to give it its full name Deutsches Museum von Meisterwerken der Naturwissenschaft und Technik is a must visit for any trip to Munich. Its almost difficult to summarise the subjects covered. 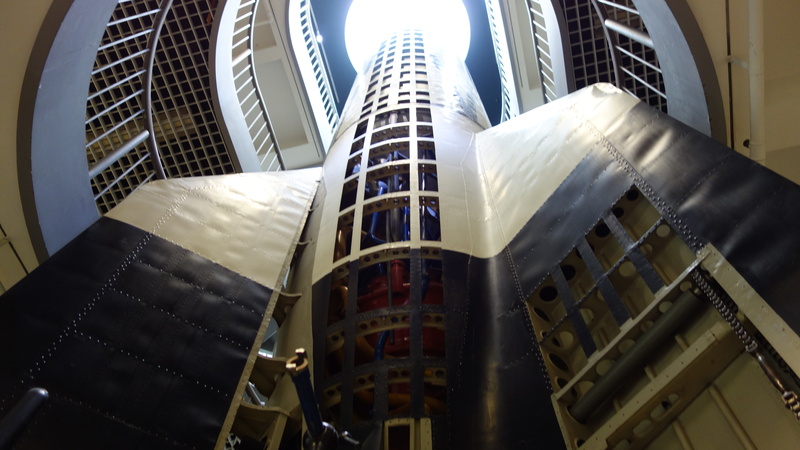 Its like a cross between the Imperial War Museum, The Science Museum, The Victoria and Albert Museum, and many many other museums were all mashed into one and then put on steroids. 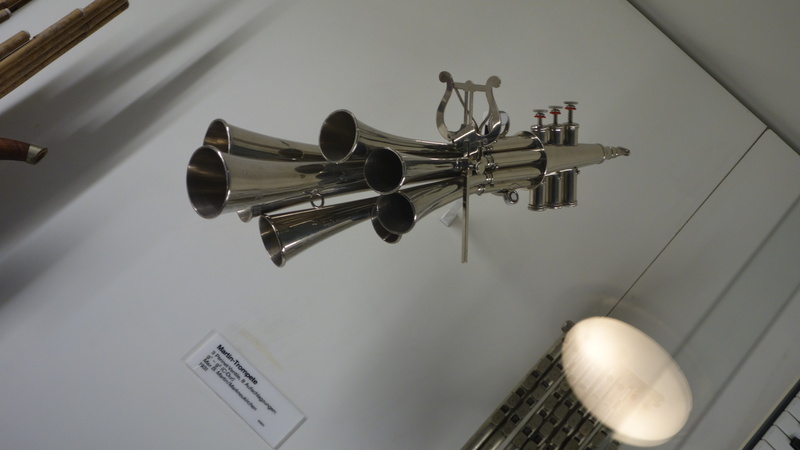 The one continuing thread seems to be to give the visitor a grounding in absolutely anything technical whatsoever, be it how jet engines work to musical instruments or Atomic theory to textiles. There are literally rooms and rooms given over to different types of machinery, from different textile milling processes through the ages, to machine tools to engines. 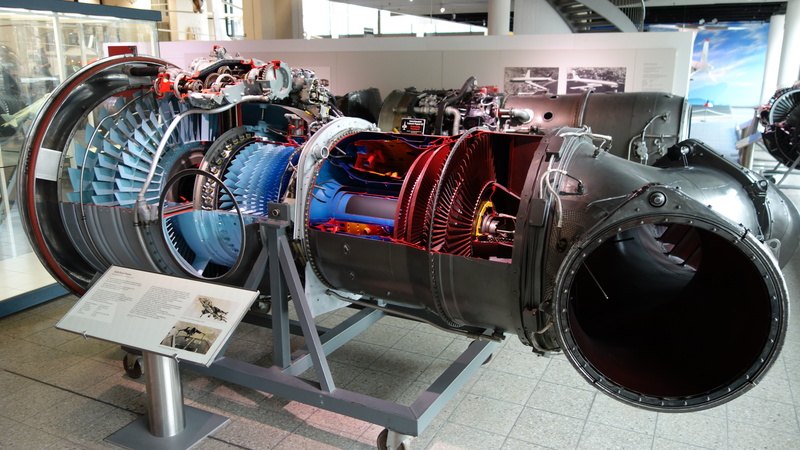 Engines of every descriptions, stacks of diesel engines, stacks of petrol engines, gas turbine engines, jet engines, turbo jet engines, steam engines, water turbines, rocket engines. Being a rather boring person, in most museums my enthusiasm for reading about and looking at exhibits on any given subject normally outlives the number of size of whatever museum I’m visiting and I leave wanting to know more. At the Deutche Museum I got the distinct impression that everything I could ever want to know about any of these subjects was here in front of me. And all around me were scores of enthusiastic German children, drinking it all in, the next generation of German engineers having Vorsprung durch Technik hammered into them. 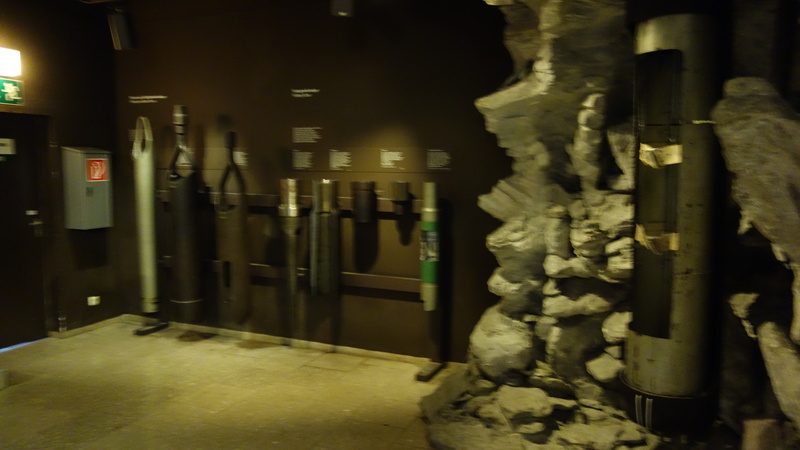 Its overwhelming, I’m not used to a major national museum having a wall given over to various electricity cables through the ages, or to put rooms of musical instruments right next to rooms on atomic theory. After what seemed like ages and realising that I still had half a museum left to explore I started to become increasingly aware of hunger and my tired legs. I decided therefore that perhaps enough was enough and tried to find my way through to the exit. On the way however I noticed stairs down to a “Mining” exhibit and thought that perhaps I should just have a quick look to see if there was anything interesting down there. After all, it won’t take long I thought…. 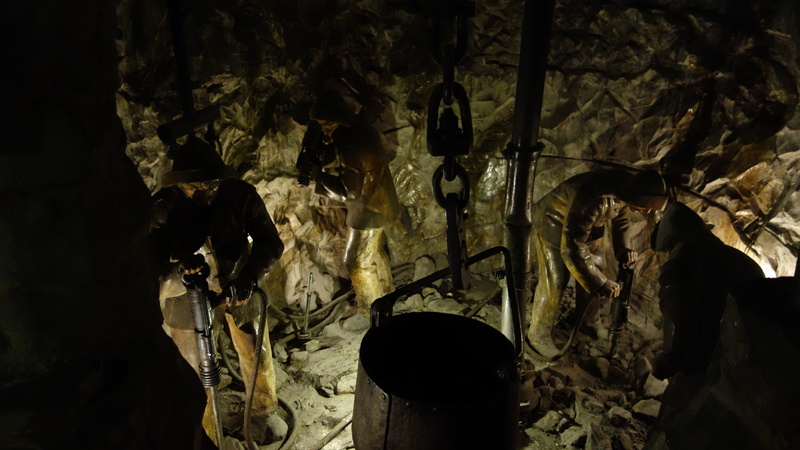 Having descended several flights of stairs it soon became apparent that rather than a room or two full of mining equipment, what I actually emerged into at the bottom of the stairs was in effect a replica mine complete with faux. There was little light, there was a frequent need to duck and as my eyes adjusted to the darkness various scenes could be made out of mining throughout the ages. As I moved deeper into what soon started to feel like a maze the scenes gradually advanced through the ages. My enthusiasm was starting to sag significantly at this point. It was disorienting, there was in effect a one way system in operation so going back was not an option but the mine seemed to go on forever. I pressed forward – light appeared and we emerged into a room – was this the exit? I thought it was but then, no, into a replica of a salt mine. I didn’t even know salt was mined and here I was trapped in a replica of one underground in Munich. I was tired, my feet hurt, it seemed to be getting even darker – if one of Dante’s 7 circles of hell is not given over to being trapped in a replica mine with German children then it can only have been an oversight of his part. The high spirits and inquisitiveness of the kids seemed to be mocking me but did come with some advantages as I realised that one of them was wearing trainers with lights in the heals, so I could at least I now start to see my way better! 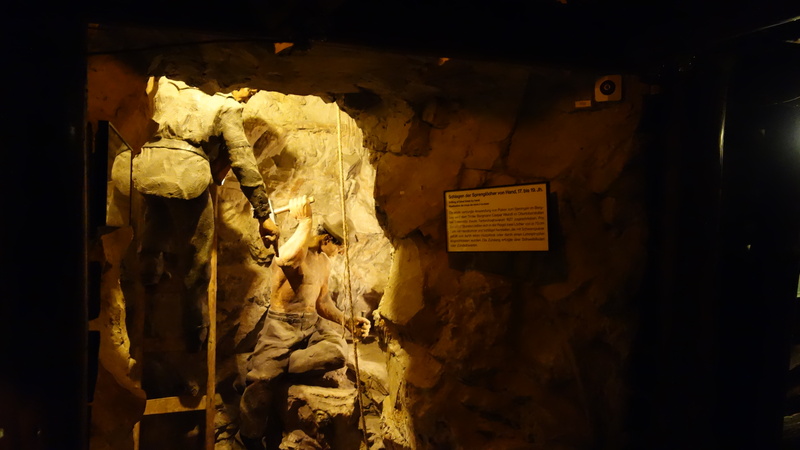 Finally the salt mines ended, but there was no respite – onwards instead into a replica of a modern German coal mine. I wondered how much longer I could last before I might have to consider resorting to cannibalism. At this point it was difficult to remember that this was just one section of a museum, in fact it was difficult to remember that this was a museum at all. 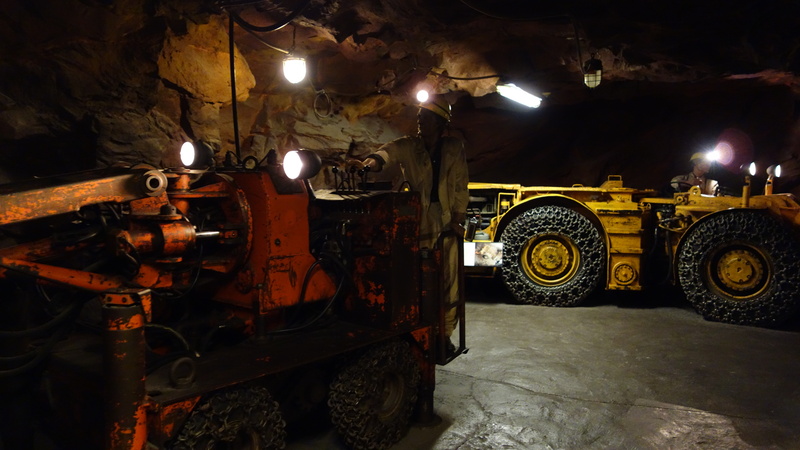 How I wondered could they have even got some of the equipment, including some quite large mining vehicles down into the basement in the first place? In reality though I knew I didn’t care, what I wanted to was get out and see daylight! When the replica mine finally ended and opened out into a more traditional style exhibit I wasted no time in rushing past the group of 6 year olds learning about the “coking process” and “modern hard coal mining in the German Republic” and headed out to the exit. This time I wasn’t going to be distracted by promises of exhibitions on the glass making or musical instruments – I’d learnt my lessons, I didn’t want to suddenly find myself in a replica concert hall and instead walked, eyes down, out to the exit and freedom. How did they fit this stuff down there? Having now, some days later got over this traumatic mining experience and realised that it perhaps wasn’t quite on a par with the Chilean miners in 2010, I can safely say that this is the best museum I have been to. If you have even any vague interest in engineering whatsoever its a must. It would probably easily take at least 2 visits to do it justice, and on occasions they also carry out live demonstrations on things such as demonstrating lightning strikes on houses and how neon lights work. Just don’t expect that it will only take 15odd minutes to get through the sections on mining!